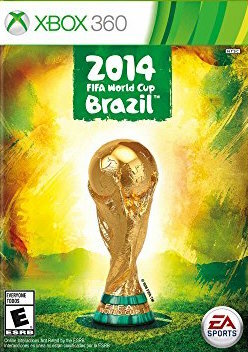 2014 FIFA World Cup Brazil (Xbox 360, 2014)COMPLETE GAME W/CASE & INSERTS!!! 2014 FIFA World Cup Brazil Xbox 360 *Complete! *Free Shipping! 2014 FIFA World Cup Brazil (xbox 360) Complete! Ships Fast! 2014 FIFA World Cup Brazil (Microsoft Xbox 360, 2014) Complete!